Designed in the early 18th century by Francesco de Sanctis, the Spanish Steps are one of the longest and widest staircases in Europe with 138 steps leading up to the French church of Trinità dei Monti. The steps were named after a Spanish ambassador that lived nearby. At the base of the stairs in the Piazza di Spagna is the Fontana della Barcaccia ( Fountain of the old Boat), built around 1627 by Pietro Bernini and his son Gianlorenzo. 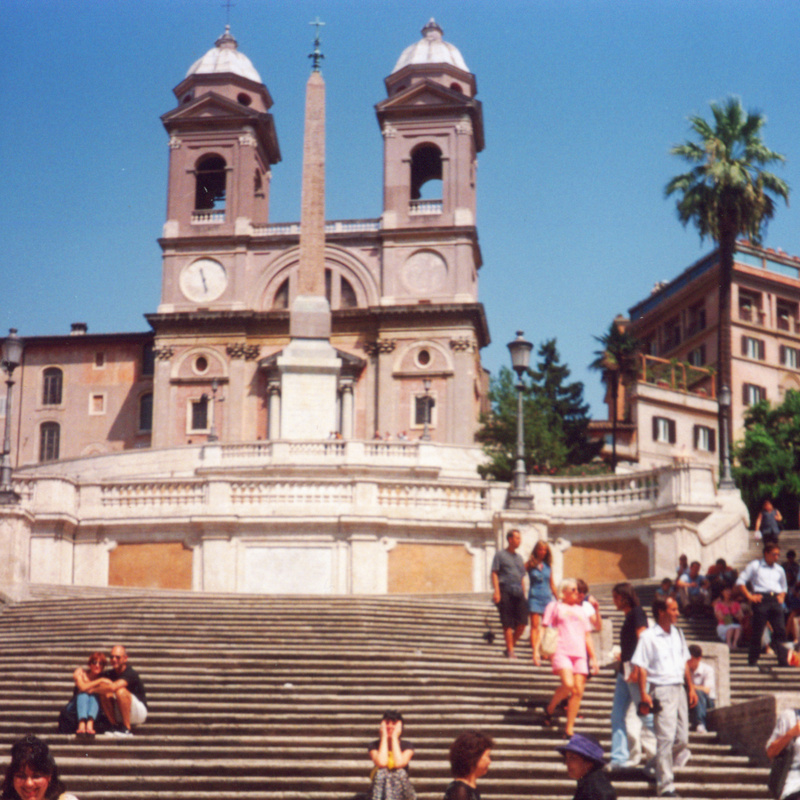 The stairs are always crowded with locals and tourists enjoying the view of the piazza and the streets that lead onto it. Supposedly a fine can be issued if caught eating on the steps as it is forbidden by Roman urban regulations.